The Long Griffith Hardwood Backless Bench by Import Deport is a fine quality hardwood furniture that you can afford. 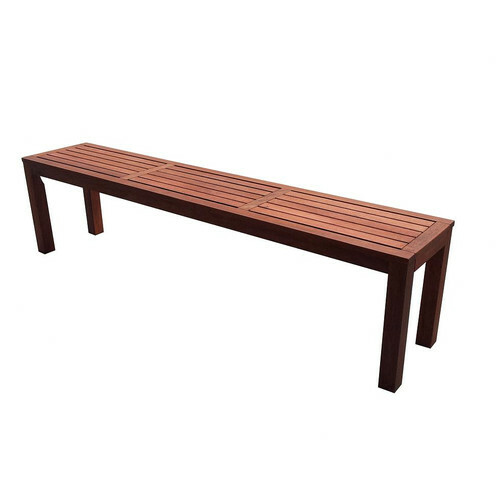 Clean in design, this hardwood bench comes with a comfortable slatted seating. With its slim design, the Long Griffith Hardwood bench will create extra seating without clogging up the available space. It is ideal for limited outdoor spaces or in an alley. When you buy a Bay Beach Hardwood Backless Bench online from Temple & Webster in Australia, we make it as easy as possible for you to find out when your product will be delivered to your home in Melbourne, Sydney or any major city. You can check on a delivery estimate for the Woodlands Outdoor Furniture Part #: OPB-071B here. If you have any questions about your purchase or any other Outdoor Benches product for sale our customer service representatives are available to help.Whether you just want to buy a Bay Beach Hardwood Backless Bench or shop for your entire home, Temple & Webster has a zillion things home.